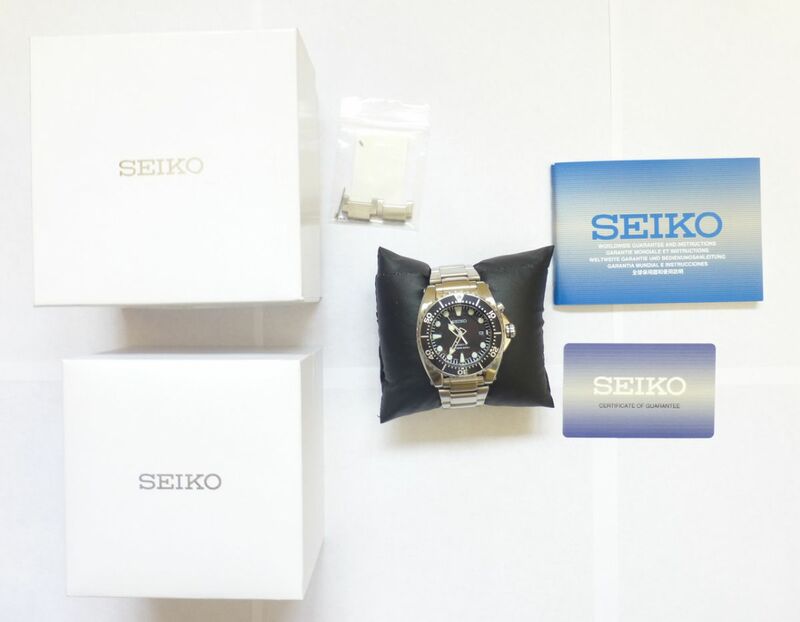 Mint and but brand new looking condition, comes in box with booklet and card dated September 2017. 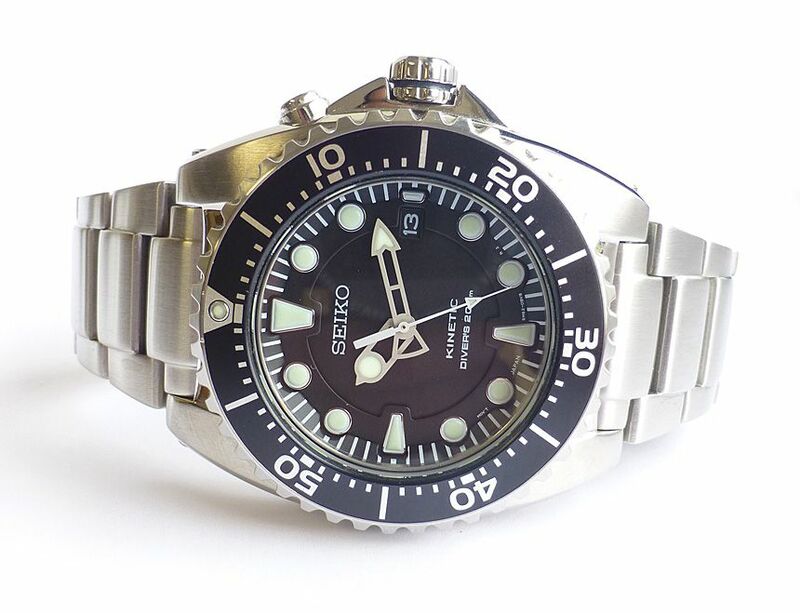 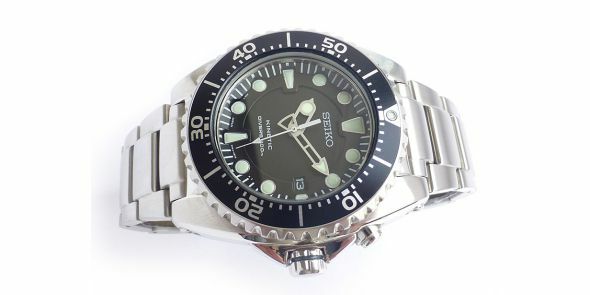 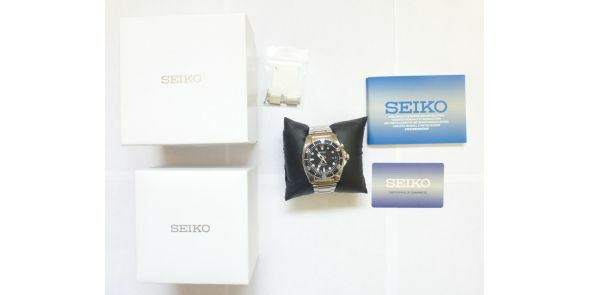 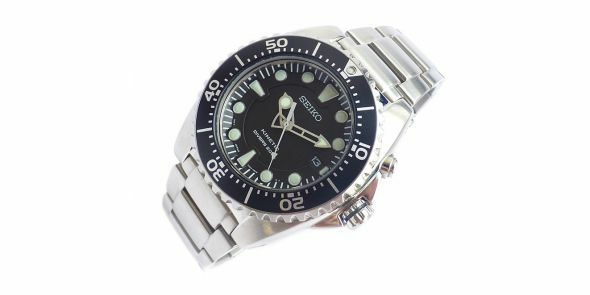 It is a current model Seiko kinetic 200 metre divers watch with black dial and black rotating bezel bezel. 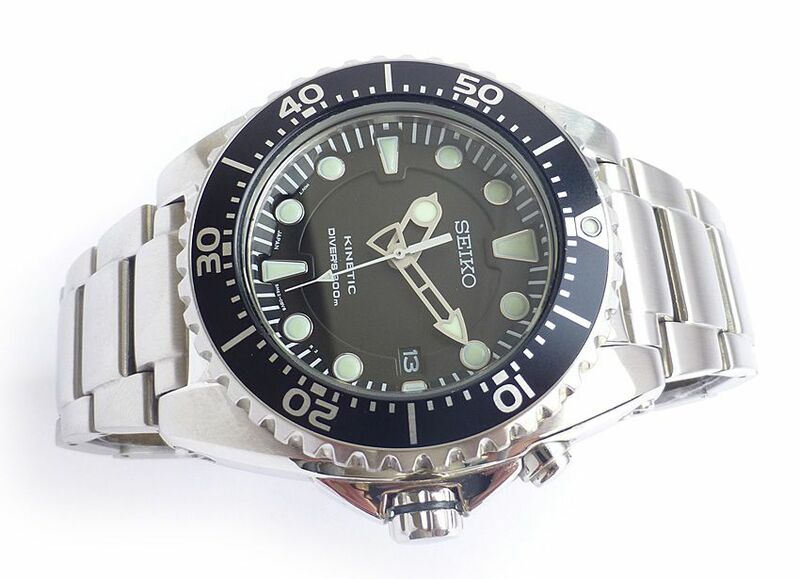 The model reference is SKA 371P1 with classic looking divers looks. 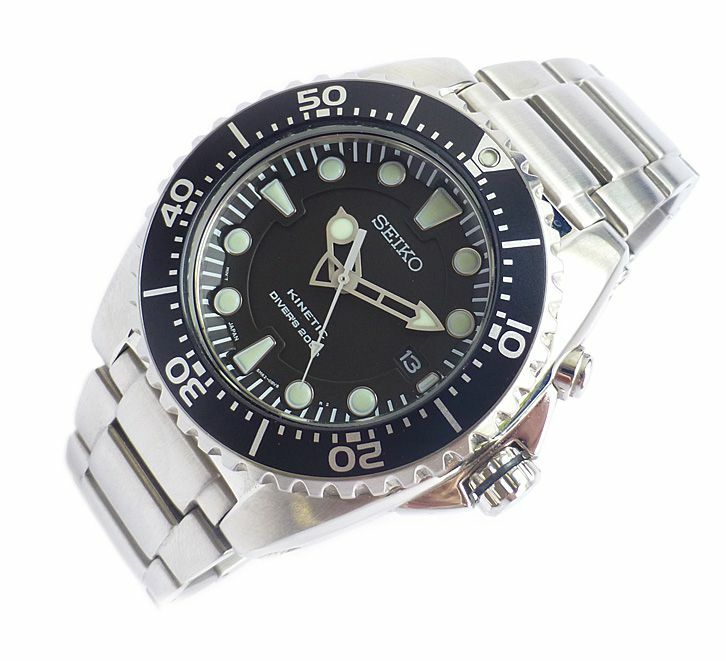 It has a Seiko Calibre kinetic movement which is quartz but is charged by wrist movement rather than by a battery. 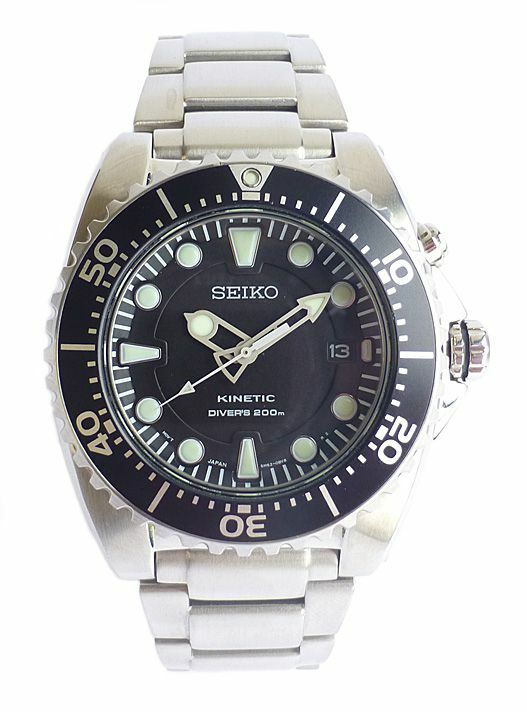 Solid and chunky watch built to the usual reliable Seiko standards. 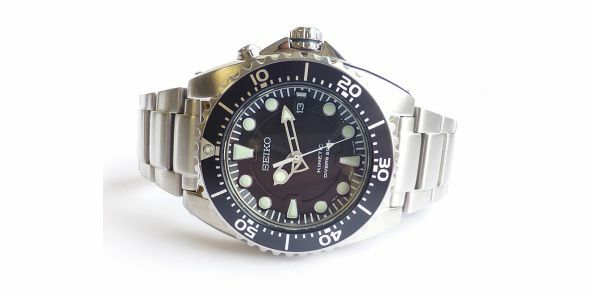 Clean looking face with large hour markers and thick hands for maximum under water visibility, also with bright luminosity. 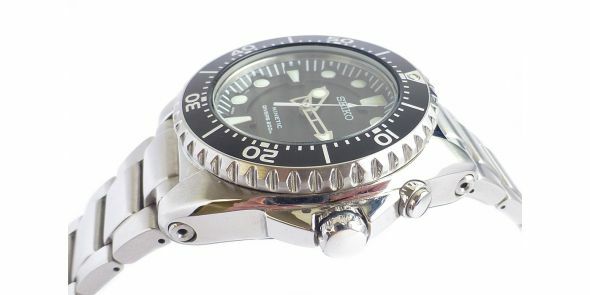 Very smooth operating uni directional ratchet rotating bezel and date function. 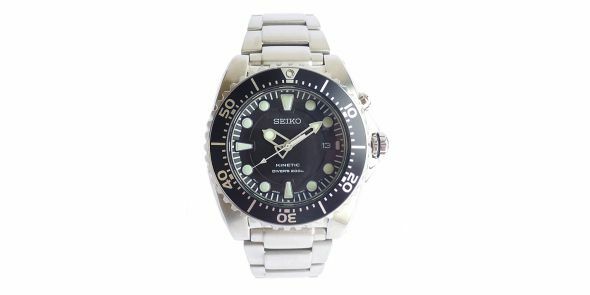 The screw down crown is at the 3 position and the crystal is scratch resistant hardlex, which is a very durable and long lasting composite. 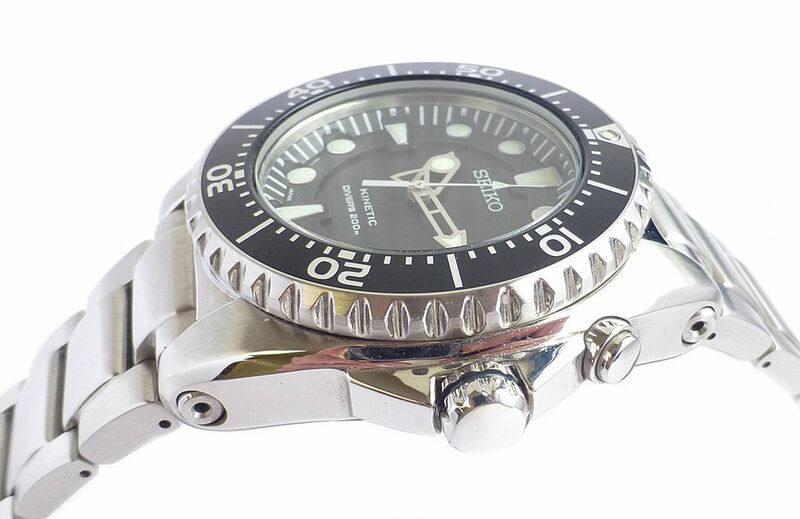 Width 42 mm excluding crown, 44 mm including crown, lug to lug 45 mm, thickness 13 mm.